Make this cute crochet heart basket and fill it with candies. 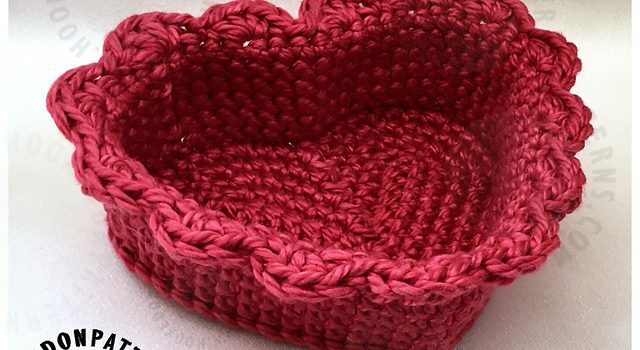 Simple Heart Baskets by Ling Ryan are fun to make with basically any yarn type you want. 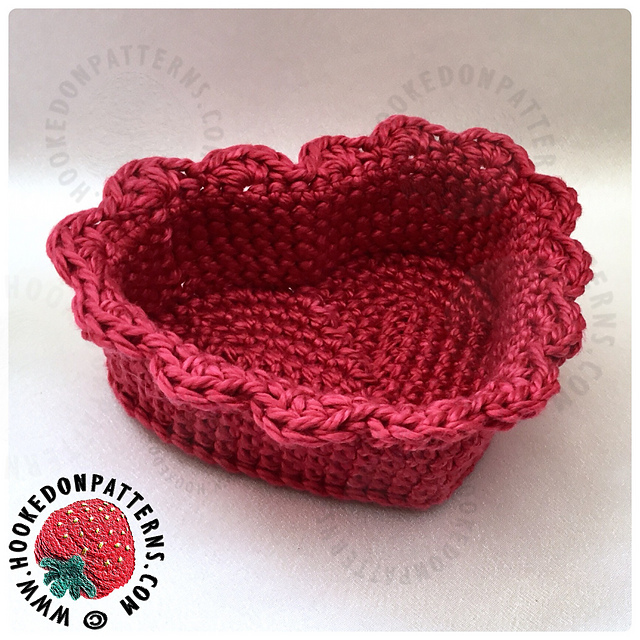 This is such a sweet little container to make for any occasion, like Valentine, Easter, Mothers Day, or Christmas. The pattern is so easy to make that you will want to make many in different colors. These simple containers are perfect filled with small treats and offered as gifts or to use all around the house. You can use any yarn weight or type for these baskets. Your choice of yarn will determine the finished size. I have used Chunky (US Bulky) cotton yarn for my trinket basket, with a 5.5mm hook. The finished size is approx. 5” wide by 4” high, with a depth of 1.5”. For my larger WIP basket, I have used Super Chunky (US Super Bulky) yarn with a 8mm hook. Finished measurements are approx. 8” wide by 6” high, with a depth of 3”. Check out the original source for this Cute And Simple Heart Shaped Basket Free Crochet Pattern with all the directions and full written pattern at: Hooked on Patterns. Thanks to Ling Ryan for the article inspiration and featured image.